This toner contains a high concentration of Glycolic Acid. It may assist in promoting the natural acid mantle of the skin and in encouraging exfoliation in the gentlest way possible to help refine the texture of the skin, resulting in skin that feels smoother and looking radiantly healthy. 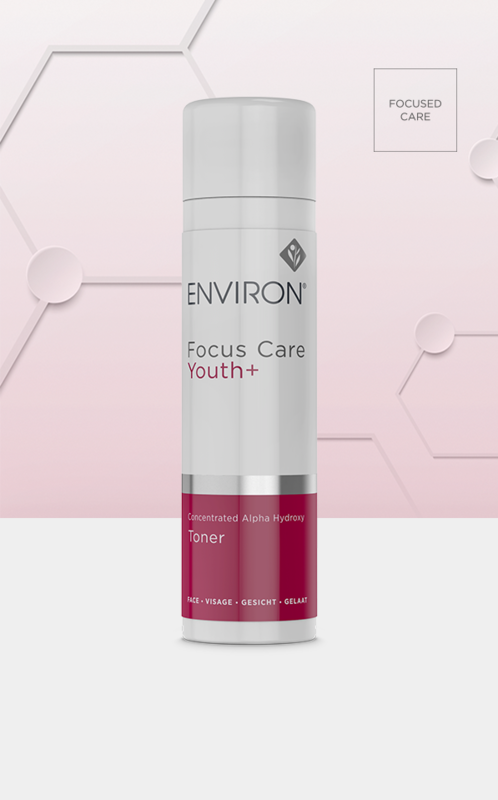 Specially formulated to work in synergy with the Environ vitamin A moisturisers. A mild exfoliating action helps to refine the appearance of your skin texture. Smooths the look of your skin and assists in improving the appearance of uneven skin tone. Pre-cleanse and cleanse your skin with your preferred Environ products. Apply it with a cotton-wool swab to your face, neck and décolleté in the morning and evening. If you feel a tingling sensation, pre-dampen cotton wool with water to slightly dilute the toner before application. Allow it to dry, and continue with your recommended Environ vitamin A moisturiser.